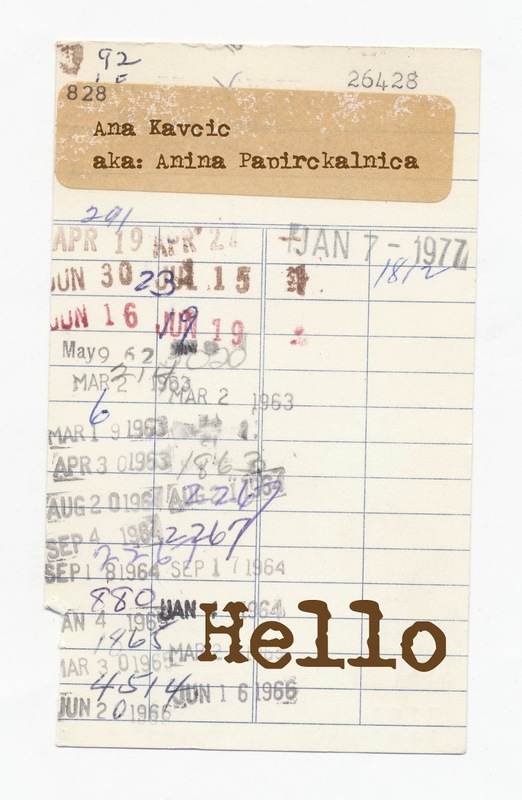 My name is Ana Kavcic in blog land also known as Ana K.
Anina papirckalnica...translation would be, some kind of messy paper corner (even in Slovenian language it’s hard to explain). I wanted to be a dentist...funny because nowadays I'am afraid of the dentist. Chaos...lol...I don’t know if I am the only one, but usually I have to clean my desk few times during creating, because I can’t find scissors. In microwave melted ice cream...yeah, yeah I know... it’s strange. Singing, but I LOVE to sing...the people around me don’t fully appreciate it! I didn’t have time to buy Christmas gifts, so I decided to bake some cookies and put it to nice boxes...I visit “uncle Google” for templates and found out scrapbooking...till then I am obsessed. 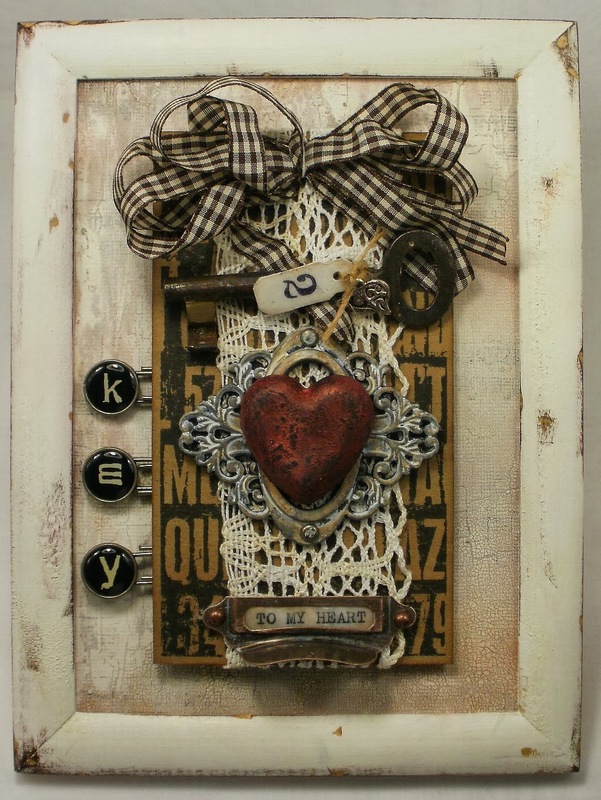 Vintage finds, paper, lace, everything Tim Holtz. Nature and creative people from blog land. Don't you just love the layering and texture? thank you Ana for sharing your work with us! Beautiful work Ana! You have a new admirer! I love your pieces! I would never have thought to combine some of the items you did but they look terrific together. Maybe I just need to think outside the box more and stop stifling my creativity. The above comment was for Ana but the message just as easily works for Paula's art. Oh how wonderful to see Ana here, I totally adore her work! Ana, all of your pieces are always amazing and so inspiring!!! Ana is the best! She is such a sweet gal and her talent is never-ending! So nice to see her here! So nice to get to know you, Ana! 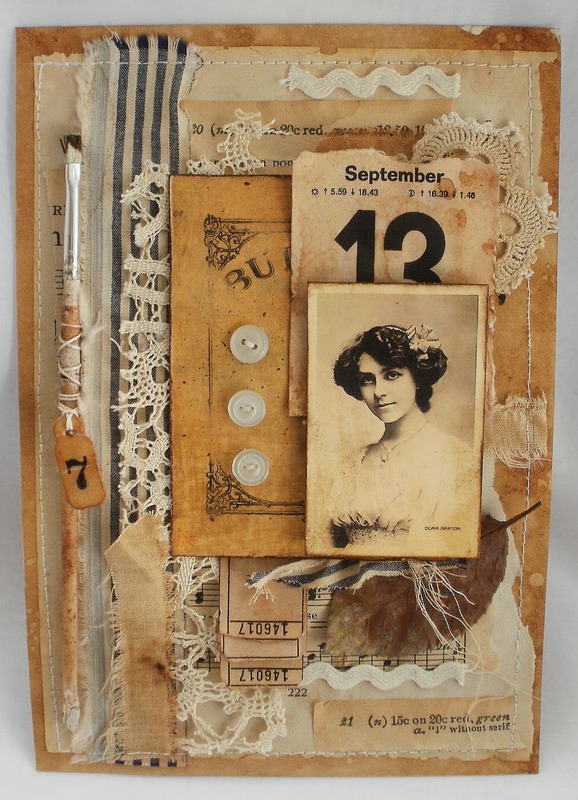 LOVE these collages - wonderfully vintage and layered. I am going to visit your blog. Love your art Ana! Thank You for sharing! I'm a huge fan of Ana's - so thrilled to see her amazing work spotlighted here... and lovely to read the Q&A. Fantastic to see these brilliant creations again - congratulations, Ana! Thank you very much! Not just to you Paula, but also to all wonderful ladies who took time and leave nice words here and also on my blog! I am really proud and honoured to see my work displayed here! Your work is so inspiting, Ana. You have a new fan in me! Thank you too, Paula for sharing Ana with us. Wonderful artist! I'm a new fan! thanks for sharing this fabulous talent with us, Paula! Wonderful work, I'm a new follower, how great of Paula to spotlight you. Beautifully detailed work. Thanks for sharing more about Ana with all of us! 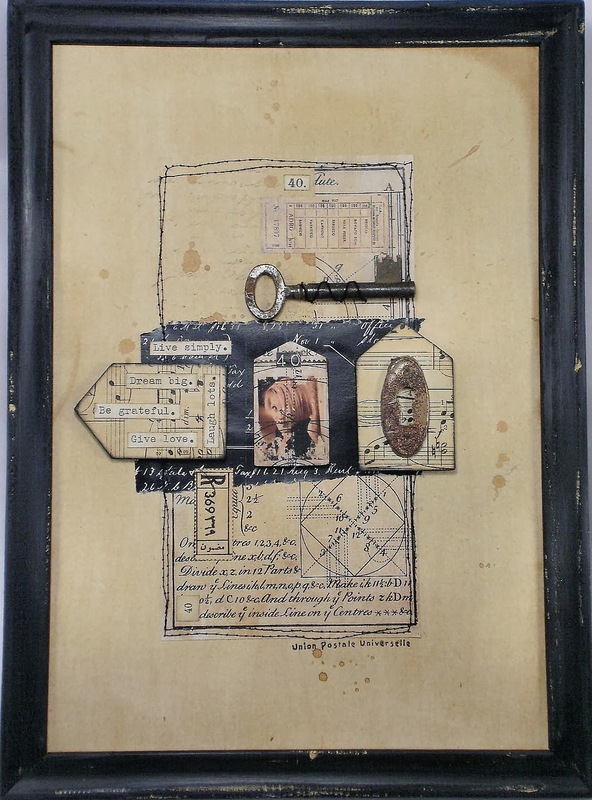 Lovely mixed media. Thanks for the inspiration.